CRASH ON BRIDGE OVERNIGHT HALTS TRAFFIC FOR HOURS • SUV “was hanging off the bridge” • ACTUAL DISPATCH COMMUNICATION (64804) – About 3:45 am on the bridge over Shoal Creek at Zan's Campground, one of our Joplin News First tipsters came upon a two vehicle crash before help arrived. “The [vehicle] was hanging off the bridge, the front tires were holding the SUV up and keeping it from falling down to Riverside,” states our Joplin News First friend remaining unnamed, since still in shock. Redings Mill Fire Protection District responded and in about 30 minutes time safely extricated Tommy Harms, 32, of Joplin with the 'jaws of life'. According to the Missouri State Highway Patrol, Harms 2007 Hyundai Tucson had crossed the center line crashing into Beau Hamlin, 27, of Galena. Hamlin's 2003 Toyota 4Runner is a total loss as well as Harms vehicle. Hamlin was treated for moderate injuries at an area hospital however Harms was flown to Cox South Hospital in Springfield with serious injuries. In an update today from friends via family he is in critical but stable condition. Tommy has a long road of recovery but they covet your thoughts and prayers. 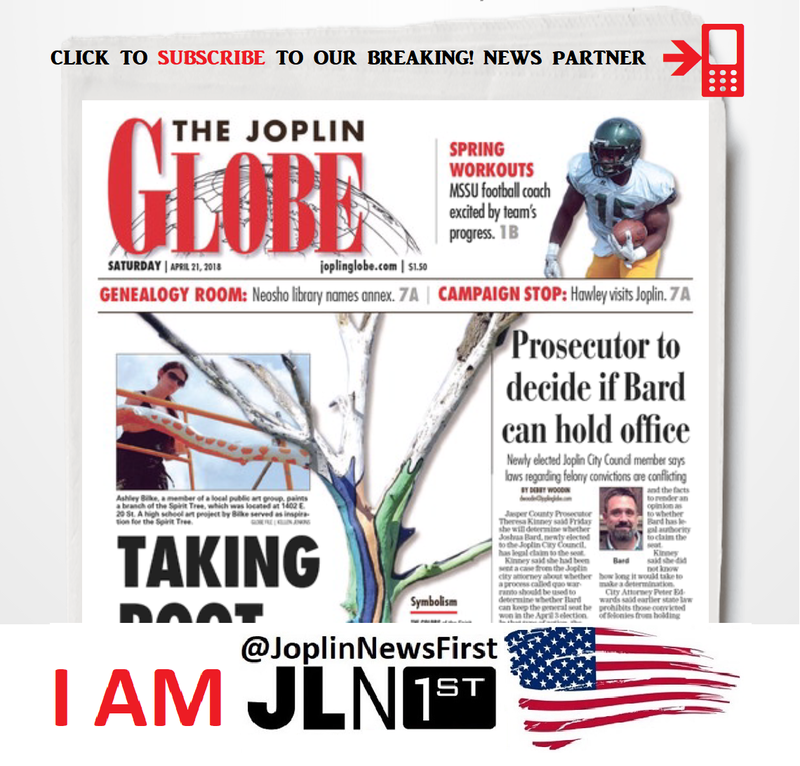 © 2018 Joplin News First - cc|Creative Commons, legal & license notice, some rights reserved, audio is edited solely for length and ease of information delivery, audio is public domain.